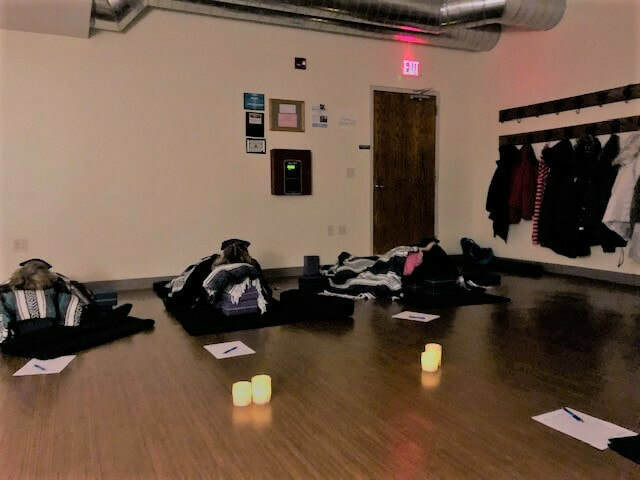 ​We begin Wednesday's practice with a simple mindfulness practice and breathwork. 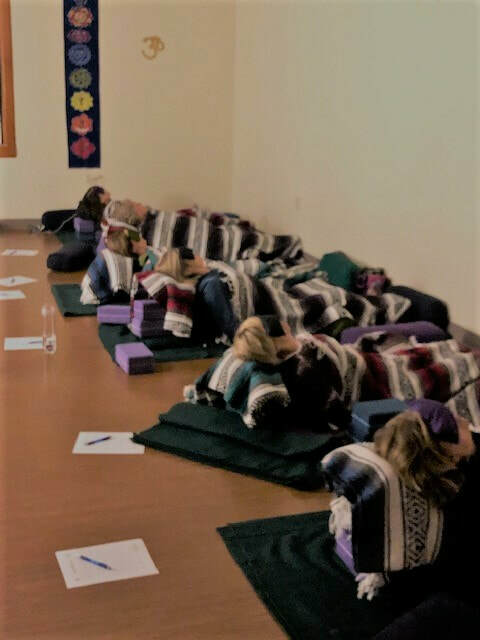 The we practice Integrated Restoration (iRest) meditation. 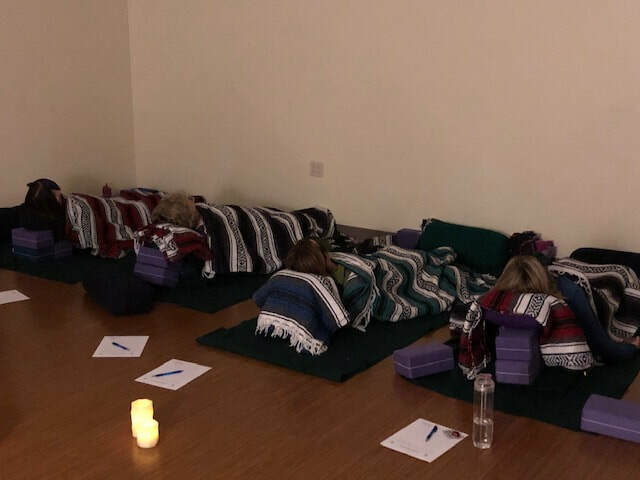 iRest is one of the most accessible meditation practices. It effectively helps you in recognize the underlying peace of mind and a sense of well-being that is always present with you amid all of life’s changing and challenging circumstances. 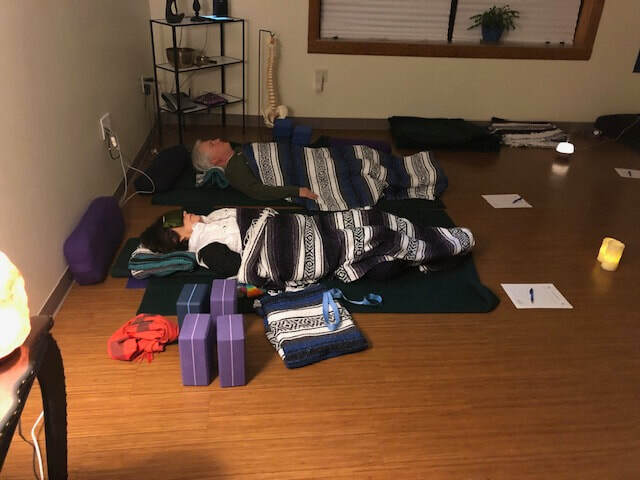 This practice effectively supports your healing process whether you are dealing with chronic pain, anxiety, depression, insomnia, PTSD, or another trauma or issue. 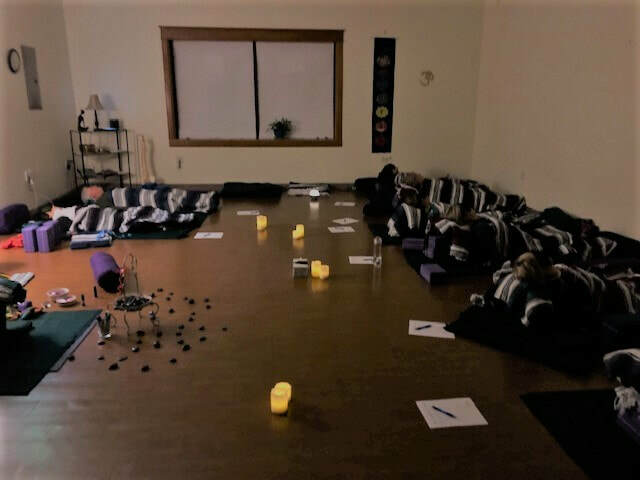 Experience for yourself the healing potential of this practice. 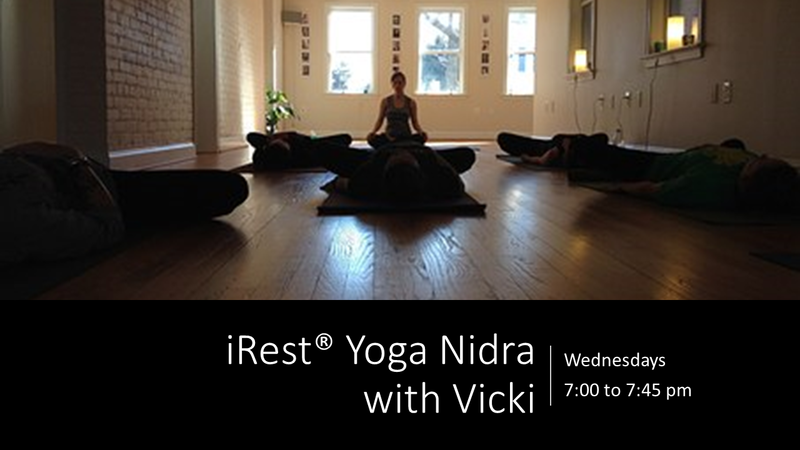 Give iRest Yoga Nidra a try. You'll be glad you did. Cost: $15 Drop in or you can use a class pass. First class $5.00. Some photos from previous classes. Sign up on the Schedule page.